Yoram Danziger was born in Israel in 1953. Following his service in the Israel Defense Forces, he studied law at Tel Aviv University, serving as Deputy Editor of Tel Aviv University Law Review, Iyunei Mishpat, as well as the Israel Bar Review, Hapraklit. He completed his LL.B. degree with honors in 1980 and his LL.M. degree with highest honors in 1981, and he earned a Ph.D from London University in 1983. Specializing in Corporate Law, he taught at the Faculty of Law of Tel Aviv University from 1983 to 2007, and headed the Corporate Practice Group of the firm Danziger, Klasbald & Co. 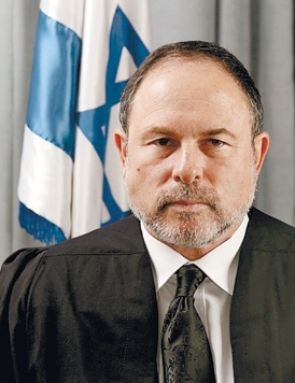 In November 2007, he was appointed Justice of the Supreme Court of Israel.